Two Spanish citizens were killed in Tuesday's earthquake in Haiti, the Foreign Ministry said Friday in Madrid, DPA reported. The victims were a Spanish woman and her husband of Haitian origin. The bodies of the two were recovered, and recognized by two of their daughters. A third daughter was on her way from Spain to Haiti. The couple had travelled to Haiti to sort out inheritance matters, according to the ministry. 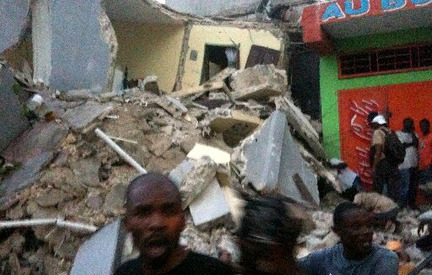 Until now, no Spaniards had been confirmed dead or seriously injured in the earthquake, although the Spanish authorities had been unable to locate more than 20 of the 111 Spaniards living in Haiti.